All Rainforest Cruises customers must carefully read our terms and conditions prior to booking, as they are strictly enforced. If you have any questions at all, please contact us for clarification prior to booking. All Rainforest Cruises customers are deemed to have read, understood, and accepted these terms and conditions before making any deposit payments. The following Terms and Conditions (referred to herein as these “Terms and Conditions” or “Agreement”) apply to all travel and travel related Services offered for sale by Mighty Travel LLC dba Rainforest Cruises (“Rainforest Cruises”) and/or its officers, directors, employees, representatives, affiliates, agents, or subcontractors (hereinafter referred to as “Rainforest Cruises, “we,” or “us”). Rainforest Cruises is located at 1020 Meridian Ave. 401, Miami Beach, Florida 33139. Our telephone numbers are 1-305-699-3323 or 1-888-215-3555. The terms “Service” or “Services” as used in these Terms and Conditions encompass: airfare, passage on cruises, charters, river boats, aircraft and other water vessels, ground transportation, hotel rooms, resorts, or other lodgings, tours, leisure or adventure activities, equipment rentals, expeditions, trip insurance and any other travel or travel related products offered or sold by Rainforest Cruises. The term “Trip” or “Tour” is defined as any Service, or package of Services, offered or sold by us. “Supplier” or “Vendor” refers to any provider of the Services we offer. “Itinerary” refers to the particularized schedule for a Trip. References herein to “Traveler,” “you,” or “your” shall apply to each and any of the following: a party participating in an offered Trip and/or the party who purchases (or attempts to purchase) a Trip for themselves and/or others, including their Parent or Legal Guardian who accepts these Terms and Conditions on their behalf if the party participating is not of legal age to enter into a binding legal contract on their own behalf. All bookings of Trips are also subject to the Terms and Conditions of the Supplier of the Service(s) incorporated in a Trip. By placing an order with Rainforest Cruises, you agree to abide by all the Terms and Conditions of the applicable Suppliers without reservation, and to be bound by the limitations therein. If the Supplier’s Terms and Conditions are ever in conflict with the Terms and Conditions of Rainforest Cruises, Rainforest Cruises’ will control all issues relating to the liabilities and responsibilities of Rainforest Cruises. Please read these Terms and Conditions carefully, ask us any questions you have about them, and consult your attorney before you agree to be bound by them. Traveler acknowledges that they have taken note of these Terms and Conditions before making a booking and have accepted the same by checking the “I have read and agree to the Terms & Conditions” box. When Traveler is purchasing a Trip for one or more Travelers besides themselves, checking the “I have read and agree to the Terms & Conditions” box verifies that Traveler: (1) has informed all other Travelers in their group of these Terms and Conditions and supplied all other Travelers a copy of the same; (2) has full authority on behalf of all the persons whose names appear thereon to accept the Terms & Conditions on their behalf, including for Travelers who are not of legal age to accept these Terms and Conditions on their own behalf; (3) agrees to be responsible for any error in the accuracy of information they provide us in regards to those Travelers; and (4) warrants that the Traveler(s), after consideration and with an opportunity to consult legal counsel, also agree to be bound by these Terms and Conditions, including the limitations of liabilities and cancellation policies herein. Without this acceptance, the processing of a booking is not technically possible. 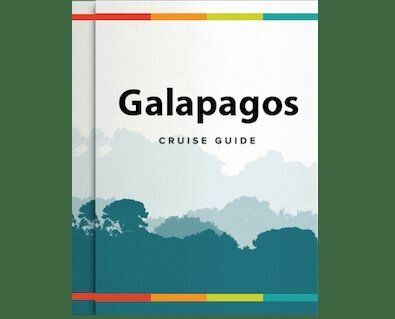 Therefore, by placing an order with Rainforest Cruises, you (and all Travelers in your group if applicable) agree to abide by these Terms and Conditions without reservation and to be bound by the limitations herein. 30. Disputes: Binding Arbitration, Governing Law, Jurisdiction, Venue, etc. 1. Eligibility. The Services offered by Rainforest Cruises are available for purchase by, but not limited to, residents of the United States while in the United States, its territories, possessions, and protectorates, who have all the requisite power and authority to enter into and perform the obligations under these Terms and Conditions. No unaccompanied minors (those under 18 years of age) will be accepted. The Lead Passenger (the Traveler who submits a Trip reservation for others) must be over the age of 18 to purchase a Rainforest Cruises Trip and agree to these Terms and Conditions. If a lead passenger is traveling with a minor, we need to approve the reservation on a case-by-case basis, and the minor’s parent or guardian accompanying them must accept full responsibility for the minor. 2. Modification of Our Terms and Conditions. Our Terms and Conditions may be amended or modified by us at any time, without notice, on the understanding that such changes will not apply to Trips booked prior to the amendment or modification. It is therefore essential that you consult and accept our Terms and Conditions at the time of making a booking, particularly in order to determine which provisions are in operation at that time in case they have changed since the last time you placed an order with Rainforest Cruises or reviewed our Terms and Conditions. 3. Prices and Surcharges. Our prices are contractual tariffs. No claim relating to the price of a Trip will be considered once the reservation is effective. All prices are quoted in US dollars (US$). Rates for Services are based on tariffs and exchange rates in effect at the time of posting and may be subject to change prior to departure in the event of unforeseen and substantial changes to any of the following: tariffs, exchange rates, the price of fuel, services and labor, or any social or environmental manifestation affecting the proper execution of services. • Items of a personal nature such as incidentals, toiletries, etc. • any other activities or items not explicitly advertised as included in the price of a Trip in its description. 4. Reservations/Bookings. To make a reservation with Rainforest Cruises, please contact us at 1-305-699-3323 or 1-888-215-3555 or email us at cruise@rainforestcruises.com. Rainforest Cruises will provide a written confirmation of your Trip booking upon receipt of all of the following: deposit payment, all Traveler information web forms that have been fully completed, and flight information. For those Travelers booking a cruise and land tours through us, we will also provide a service list of the land tour portion of your Trip after all your requested Services have been confirmed, then two weeks prior to your travel date you will receive a copy of the final program of your Trip via email. You will receive a physical copy upon arrival in your destination along with the necessary vouchers. The final program will contain all the contact information and details of each Accommodation and Activity you have booked. a. Deposits: To secure a booking, the passenger must provide a Non-refundable deposit equal to 30% of the entire price of their trip. Where applicable, all flights (domestic and international) must be paid 100% in advance to secure spaces. b. Final payment is due no later than 100 days before departure. In case of non-payment of the balance by the due date, Rainforest Cruises reserves the right to treat the booking as cancelled by Client. c. payment by Credit Card with a convenience fee of 3.5%, payable to Rainforest Cruises. For those transactions involving credit cards, Rainforest Cruises can take payment over the phone or send passenger a PayPal invoice. or directly to our account at Chase bank. If we could not take payment from your payment card account, we will send you an email or call you regarding the matter. This could be because of insufficient funds in your payment card account, incorrect details provided by you on our site, any fraud alerts received from our fraud prevention system or if your bank declined the transaction. You can also contact your bank or card issuing company to authorize your transaction or provide us a different payment card acceptable by Rainforest Cruises. We do not take responsibility for any damages caused by the non-acceptance of your payment for whatever reason. If we notice any fraudulent transaction from the provided credit or debit card, we will inform such activity to our Credit Card Verification Company, bank, or Supplier, and if required we will also inform the appropriate legal authorities. We process all credit and debit card transactions securely and transmit the data using SSL. 7. Cancellation, Substitution, and Alteration Policies. 1) Traveler may cancel their booking at any time provided that the cancellation is communicated to Rainforest Cruises in writing. Cancellation will be applied based on the date on which we receive written notification. Any refund owed to Traveler will be distributed after bank and/or transaction fees are subtracted..
2) The deposit paid to reserve a Trip is 100% non-refundable. 3) Any payments for flights, cruise deposits and Inca Trail bookings are all 100% non-refundable due to Suppliers' policies. 4) All other reservations cancelled less than 100 days prior to the departure date of the tour are subject to full loss of their deposit and final payment. Please note that a no show passenger is treated as a cancellation less than 100 days prior to departure and forfeits all deposits and payments made as well. 5) Many Suppliers have their own policies in regards to cancellation or alterations. All Travelers should review those policies prior to purchase. The Supplier cancellation penalties on payments will be determined by the individual Suppliers and Vendors, not Rainforest Cruises. Changes, cancellations, and refunds may not always be possible. 6) In case part of a booking is cancelled, the remaining party may have to pay additional charges (e.g. under-occupancy, or single room supplements). 7) A one-time change to a travel date may be permitted for extreme emergencies, and only if permissible by the policies of our local suppliers. A written request must be submitted up to 100 days prior to your original travel date. Rainforest Cruises reserves the right, at its sole discretion, to determine whether a request to alter a travel date will be granted or declined. To qualify, Traveler will be expected to make full payment of the entire invoice based on the due date of the originally booked trip (not the altered date). Changes will be subject to any fees, penalties, rate increases applied by the terms and conditions of our individual suppliers, including costs for any upgrades. Changes can only apply to the exact services previously booked, and are not subject to downgrades, promotions, or lower value offerings of any kind. Rainforest Cruises will not compensate clients for any change in value of the services. After a one-time change requested by a traveler is permitted, subsequent cancels for any reason will result in full loss of deposit and final payment with no exceptions. Any new travel date must take place within a maximum of one year of the original travel date and apply. If any member of your party is unable to travel, it may be possible to transfer the booking to another suitable person, provided that written notice is given at least 30 days prior to departure. An administration fee of US$50 will be levied in addition to any costs or fees imposed by our Suppliers. Air Travel cannot be substituted. Particularly as a result of causes beyond our control (ie. weather and travel conditions, river water levels, political or environmental changes, equipment failure, mechanical malfunction of any kind, flight schedule changes or rescheduling of air routes and times, referred to herein jointly as “Force Majeure”), we have on occasions to make changes to and/or cancel confirmed bookings. While we always endeavor to avoid changes and cancellations, we must reserve the right to do so and to substitute alternative arrangements of comparable monetary value without compensation. Rainforest Cruises reserves the right to adjust the Itinerary or change the modes of ground and air travel, change the quality of accommodations or otherwise change the Tour without prior notice. We accept no liability for loss of enjoyment as a result of these changes. Rainforest Cruises will attempt to provide advanced notice of any changes to Itinerary or Services to the extent possible. Any additional charges incurred arising from the postponement, delay or extension of a trip or adjustment to the itinerary due to Force Majeure will be the Traveler’s responsibility. Traveler accepts that cruise captains have full authorization to modify itineraries in the interest, enjoyment and safety of the passengers and vessel. If a Major Change to an Itinerary (not an adjustment or modification as described above) is known to us at the time of the booking, the Client will be informed immediately. If a Major Change becomes necessary after booking, Rainforest Cruises will inform the Clients as soon as reasonably possible. When a Major Change is made, as long as that the Major Change is not made because of Force Majeure, the Client will have the choice of accepting the change of arrangements, purchasing any other available Tour or canceling the Tour and obtaining a full refund. 8. Issuing Travel Documents. Travel documents will only be sent to the purchasing Traveler who places the order and personally agrees to these Terms and Conditions. Should you change your name, passport, email address, phone number, or address before your departure date, you are required to advise us of the change. If a Traveler provides incorrect information to Rainforest Cruises, we do not assume any liability if the Trip is adversely affected or made impossible by the non-receipt of travel documents. 9. Travelers with Special Needs or Disabilities. If you have special needs (e.g., wheelchair accessible room, traveling with seeing eye dog, etc.) you must call all relevant Service providers for your Trip ahead of time and verify that special needs can be met. Depending on their terms and conditions, your reservation may be refunded, canceled or modified if special handicapped needs cannot be met. Rainforest Cruises make no guarantee as to the ability of any Accommodations, Cruise ship, activity provider, or facilities advertised on its site to meet the special needs of disabled clients. 10. Insurance. Should you have to cancel your Trip because of illness, injury or death to you or an immediate family member, depending on the type of coverage purchased, Trip cancellation insurance may protect some or all deposits and payments for both air and Tour costs. Trip cancellation and interruption penalties are significant. Purchasing Trip cancellation insurance at a much later date may limit some of the coverage as to pre-existing or other conditions. Rainforest Cruises strongly recommends the immediate purchase of Trip cancellation insurance including emergency medical evacuation, trip delay (interruption or after departure coverage), baggage and repatriation. Some countries, actually require proof of public or private health insurance for the duration of your stay in the country, and if the traveler cannot provide proof of said insurance, immigration officers could deny the traveler entrance into the country [see section 11 for more information]. Optional travel Insurance from World Nomads is available for purchase. Please see https://www.rainforestcruises.com/travel-insurance. Questions relating to coverage must be referred to World Nomads. It is Traveler’s responsibility to understand the limitations of their insurance coverage and purchase additional insurance as needed. It is the Traveler’s sole responsibility to research, evaluate and purchase appropriate coverage. Traveler agrees that Rainforest Cruises is not responsible for any uninsured losses. 11. Passports, Visas, Reciprocity Fees, Insurance & Health Requirements. It is Traveler’s sole responsibility to verify they have all the necessary visas, transit visas, passport, proof of insurance and vaccinations prior to travel and paid any required reciprocity fees for their destination. A full and valid passport is required for all persons traveling to any of the destinations outside the U.S. that we feature. You must obtain and have possession of a valid passport, all visas, permits and certificates, proof of insurance and vaccination certificates required for your entire Trip. Most international Trips require a passport valid until at least six (6) months beyond the scheduled end of your Itinerary. Non-U.S. citizens should contact the appropriate consular office for any requirements pertaining to their Trip. Further information on entry requirements can be obtained from the State Department, by phone (202) 647-5335 or access online at https://travel.state.gov/content/passports/en/country.html or directly from the destination country's website. Immunization requirements vary from country to country and even region to region. Up-to date information should be obtained from your local health department and consulate. You assume complete and full responsibility for, and hereby release Rainforest Cruises from, any duty of checking and verifying vaccination or other entry requirements of each destination, as well as all safety and security conditions of such destinations during the length of the proposed travel or extensions expected or unexpected. For State Department information about conditions abroad that may affect travel safety and security, you can contact them by phone at (202) 647-5335. For foreign health requirements and dangers, contact the U.S. Centers for Disease Control (CDC) at (404) 332-4559, use their fax information service at (404) 332-4565, or go to https://wwwnc.cdc.gov/travel/. It is your responsibility to ensure that you hold the correct, valid documents for the countries you are visiting and have obtained the necessary vaccinations, proof of insurance, clearance to travel, and hold the necessary confirmations for medications required as we cannot be held liable for any illness, delays, compensation, claims and costs resulting from your failure to meet these requirements. 12. Accommodations. “Accommodations” are any lodgings in a dwelling or similar living quarters afforded to Travelers including, but not limited to, hotels, quarters in ships and charters, motels, and resorts. Rainforest Cruises provides the accommodations for its Trips through third-party Suppliers and retains no ownership or management interest in those Accommodations. Rainforest Cruises does not guarantee the location or the amenities of the Accommodations nor the performance of the third-party Vendors. If any issues arise, please contact the owner/operators of the respective Accommodations directly. Accommodations and living standards may vary from country to country, especially in some of the remote locations we visit. Rainforest Cruises makes no guarantees about the living standards in remote locations, but we will try to work with an Accommodation provider within the same category you purchased, if available, should serious problems as to habitability arise. Any additional costs, i.e. upgrades etc., will be borne by the Traveler. Prices of Accommodations are based on double occupancy unless described otherwise. If you prefer single Accommodations, some Accommodations require you to pay a single supplement fee which can vary depending on the Accommodation. Please contact us for specifics on the single supplement fees as well as pricing for children. 13. Air Transport. The flight times given by Rainforest Cruises are for general guidance only and are subject to change. Up-to-date flight times will be shown on the tickets. The Client must check the tickets very carefully immediately upon receipt of the latest timings. Rainforest Cruises will not be responsible for informing Traveller in the event of any flight alterations, it is Traveller’s responsibility to monitor. If your booked flight was one suggested by the cruise line, we cannot be responsible if that flight is changed. Rainforest Cruises’ responsibilities in respect to air travel are limited by the relevant airline’s Contract of Carriage. All airline Contracts of Carriage are available for view publicly on their websites and at their office branches. Rainforest Cruises is not able to specify the type of aircraft to be used by any airline or guarantee seat assignments. In addition, Rainforest Cruises is not responsible for losses due to cancelled flights, seats, or changed flight itineraries. Airlines retain the right to adjust flight times and schedules at any time, and these changes may include a change in the airline you fly, your aircraft type or destination. Such alterations do not constitute a significant change to your Trip arrangements and Traveller will therefore not be entitled to cancel without paying the normal charges described herein as a result. If an airline cancels or delays a flight, you should work with the airline to ensure you arrive at your destination on or ahead of time. Rainforest Cruises will not provide any refund for Trips missed, in part or full, due to missed, cancelled or delayed flights, or other flight irregularities including, without limitation, denied boarding whether or not you are responsible for such denial. Airline flights may be overbooked. A person denied boarding on a flight may be entitled to a compensatory payment or other benefits. The rules for denied boarding are available at all ticket counters in your Contract of Carriage. The airline fulfilling your reservation may change from the airline displayed on our website. Direct flights may be “non-stop” or may involve one or more stop-overs (in the latter case this means the same flight by the airline, because the flight number remains the same). The same applies to connecting flights that may be subject to crew changes. When you reserve a scheduled or charter flight involving a stop-over in a town, and the second flight takes off from a different airport to the airport of arrival, ensure that you have sufficient time for reaching the second airport. The journey to the other airport is at your own expense. Rainforest Cruises will not be able to reimburse you for these costs, nor will it be liable if you miss the second flight. Rainforest Cruises will not bear any liability, particularly in the event of timetable changes, delays, cancellations, etc., attributable to Force Majeure (as defined below) or in the event that, after the specified arrival time at the airport, it is found that the customer is refused boarding for failure to comply with the administrative or health formalities, or failure to check-in. 14. Cruises. All shore excursions and tours, ground transportation, on board concessions (including, but not limited to, gift shops, spas, beauty salons, fitness centers, gymnasiums, climbing walls, golf programs, art programs, and snorkel concessions, tree climbing, canopy walkway, fishing, birdwatching, scuba diving, skiff excursions, panga, zodiac, kayak, canoe, stand up paddle, zipline, biking, horseback riding, guides and naturalists) are operated by independent contractors. Rainforest Cruises does not guarantee the availability, style, or quality of any advertised amenities and/or services offered during a cruise as they can be subject to change without notice. Additionally, all ship physicians, nurses, and other medical personnel are independent contractors. Rainforest Cruises neither supervises nor controls the actions of these independent contractors, nor makes any representation, whether express or implied, as to their suitability. You agree that Rainforest Cruises assumes no responsibility, does not guarantee performance, and in no event shall be liable for any negligent or intentional acts or omissions, loss, damage, injury or delay to you and/or your property in connection with these services. These services are provided only as a convenience for you; you use them at your own risk. All cruise itineraries are subject to change due to seasonal weather conditions (and resultant variations in river and tributary water levels) affecting accessibility to locations. Thus navigation routes, times and excursions may need to be modified at the cruise captain’s discretion. Call cruise line or review their informative materials to find out how long before the departure passengers have to check-in. If Travelers come late to check in they will be denied boarding. If Travelers book their own flights, or are in the destination for a number of days beforehand, it is their responsibility to get to the required pick-up location. If a client arrives late to the pick-up location, they, not Rainforest Cruises, will be liable for any additional private transfer costs incurred in order to ‘catch-up’ with a ship's departure. 15. Activities Offered During your Trip. Some activities available on our Trips are physically active and interactive, so you must be in good physical condition and health to participate in them. An offered activity may not be appropriate for all ages or for individuals with certain medical conditions. Rainforest Cruises may not be held liable in the event of an incident or accident which is due to a lack of vigilance on your part. It may happen that certain activities referred to in the Tour description or other promotional materials are no longer provided by the local provider for climatic reasons, in the event of Force Majeure, during a stay out of the tourist season, or when the minimum number of participants required for providing a given activity is not reached (examples: group sports, children’s clubs). In the early or late season some activities may not be available, some of the facilities (restaurant, swimming pool, etc.) may be closed, or maintenance work may be in progress. As a general rule, entertainment and sports activities may vary in frequency depending on how many people are staying at the time and on climatic conditions. Particularly during the high season it is possible that the number of parasols, loungers, sports equipment, etc., are insufficient for the demand. The opening hours of bars, restaurants, and discos, etc., may be irregular and dependent on the management of the establishment in question. Rainforest Cruises cannot be liable for activities unavailable due to any of the reasons listed above or for any other reason outside of our control. Please be aware that a Safari will likely take you to remote areas and may bring you into close contact with wild animals and other hazards, natural and manmade. Rainforest Cruises cannot be held responsible in the unlikely event that an attack should take place or you encounter any other hazard. It is the responsibility of Traveler to ensure their own safety and Rainforest Cruises cannot be held responsible for any attack, injury, death, contraction of disease, loss/damage of personal possessions, or accident or other event of any description that may occur during the Safari due to the unpredictable nature of wild animals or the environment. Medical assistance may be difficult to obtain / a considerable distance away, and may be limited when reached. You must carry and abide by all information provided to you in relation to your chosen activities at all times as this is crucial for your own safety and security. Animal sightings cannot be guaranteed due to the unpredictability of wildlife behavior. Animals described in a Tour description are for information use only as examples of native habitat that may be possible to view on a particular Tour. YOU ACKNOWLEDGE THAT THE USE OR ENJOYMENT OF AN ACTIVITY MAY BE HAZARDOUS AND INHERENTLY RISKY, AND, TO THE MAXIMUM EXTENT PERMITTED BY LAW, RAINFOREST CRUISES SHALL HAVE NO LIABILITY FOR ANY PERSONAL INJURY OR DEATH; LOST, STOLEN, DAMAGED OR DESTROYED PROPERTY; OR OTHER LIABILITY ARISING OUT OF OR IN CONNECTION WITH THE ACTIVITY. 16. Marketing Materials and Illustrative Photos. Rainforest Cruises endeavors to illustrate the Services it offers using photographs or illustrations that provide a realistic representation of the Services. However, please note that photographs and illustrations appearing in descriptions are for illustrative purposes only. They are not contractual nor are they to be construed as guarantees of the conditions of the Services pictured at the time of your Trip. 17. Legal Compliance and Proper Conduct. Traveler understands that their participation in a Tour may be terminated during the Tour if Traveler is disciplined by any civil or criminal authorities, Accommodation or conveyance Suppliers, or if Rainforest Cruises, in its sole discretion, determines that Traveler's conduct is incompatible with the interests, safety or welfare of other Travelers or Service providers/Vendors, their employees, or independent contractors. In this event, Traveler is responsible for arranging and paying for their own substitute travel and Accommodations. 18. Local Customs, Laws and Travel Risks. Travelers will be traveling to foreign countries, with different customs, standards, laws and risks than those Travelers are accustomed to. Traveler understands that they must be prepared to cope with the unexpected, with local customs and shortages, with the vagaries of weather, travel and mankind in general. As such, Traveler acknowledges and accepts the risks associated with travel in a foreign country and agrees to release and hold Rainforest Cruises harmless for any such problems experienced while participating in their Trip. All Travelers must obey the local laws and regulations of the places they visit on their Tour, including their medicinal and/or recreational drug laws and restrictions regarding alcohol consumption. Rainforest Cruises is not liable or responsible for any damages, costs and/or added expenses incurred as a result of Traveler’s failure to obey any local, provincial or federal laws. Although most travel to participating destinations is completed without incident, travel to certain areas may involve greater risk than others. You assume sole responsibility for your own safety at any destination traveled to. Rainforest Cruises does not guarantee your safety at any time, and assumes no responsibility for gathering and/or disseminating information for you relating to risks associated with your destinations. BY OFFERING OR FACILITATING TRAVEL TO CERTAIN DESTINATIONS, WE DO NOT REPRESENT OR WARRANT THAT TRAVEL TO SUCH POINTS IS ADVISABLE OR WITHOUT RISK, AND WE SHALL NOT BE LIABLE FOR DAMAGES OR LOSSES THAT MAY RESULT FROM TRAVEL TO SUCH DESTINATIONS. 19. Age, Fitness and Participation. a. All Travellers are expected to assess that their physical fitness is sufficient to meet the requirements of their chosen Trip Itinerary prior to booking. b. Travellers over 60 years of age, or Travellers with prior physical or medical conditions, are advised to check with their doctors should they have any doubts about participation in Itineraries that involve traveling abroad to mountainous or jungle regions. c. If the chosen Trip includes a cruise, excursion, or transfer by boat of any sort the Traveller must make it known at the time of booking if he/she is unable to swim. This will not prevent the Traveller from participating in the Tour but will enable Rainforest Cruises to take additional precautions for the safety of the Traveller at such times as may be appropriate. d. Rainforest Cruises reserves the absolute right to decline a booking at their discretion. Travellers agree to accept the authority and decisions of the employees of Rainforest Cruises, Tour leaders and agents, while on the tour with Rainforest Cruises. If in the opinion of such person the health or conduct of a Traveller before or after departure appears likely to endanger the safe, comfortable or happy progress of a Tour, the Traveller may be excluded from all or part of the Tour. 20. Medical and Physical Conditions, Medications. Anyone suffering from illness, disability, or undergoing treatment for any physical or other medical condition must declare the true nature of such condition at the time of booking and make arrangements for the provision of any medication or other treatment which may be required during the Tour. Failure to make such disclosure will constitute a breach of these Terms and Conditions and result in such persons being excluded from the Tour in which case all monies paid will be forfeit and no refund for unused portions will be provided. Traveler certifies that they are responsible for managing their own medication and medical, physical, or allergic conditions during their Tour. Travelers who have physical conditions wherein they must take medication daily should have back up medication in case the medication gets lost, or is rendered unusable. If Traveler’s condition potentially requires EpiPens or other emergency tools, it is Traveler’s responsibility to bring their own and a back up supply. Traveler understands that in the event of injury to Traveler, or exacerbation of Traveler’s medical condition, Rainforest Cruises may not be held responsible. 21. Medical Emergencies. The quality of medical personnel and facilities vary from region to region and cannot be controlled by Rainforest Cruises. In some parts of the world, substandard medical care is common and unavoidable. Hospital facilities are often unavailable and evacuation can be prolonged, difficult and expensive. Rainforest Cruises is not responsible for the costs of any medical treatment you may require during a Trip and assumes no liability regarding provision of medical care or lack thereof that you may receive while on the Trip. YOU ARE RESPONSIBLE FOR RISKS ASSOCIATED WITH, AND COSTS, OF ANY AND ALL MEDICAL TREATMENTS AND EVACUATIONS YOU MAY REQUIRE OR RECEIVE DURING YOUR TRIP. Traveler releases Rainforest Cruises from any liability relating to any such medical care, whether secured by a Service provider on behalf of Traveler, or otherwise, and agrees to be responsible for any and all expenses incurred for said medical care. 22. Use of Information. Rainforest Cruises may occasionally use statements and testimonials provided by Travelers, and/or Travelers’ photographs, in marketing materials, on the internet (including social media), and in print publications and advertisements to promote Rainforest Cruises. You fully consent to such use of your statements and/or photographs, images, or other likenesses, for marketing or promotional purposes without the payment of any compensation to you, and grant Rainforest Cruises a non-revocable license for said use. 23. Traveller Complaints. If Traveller has a complaint about any of their Tour, he/she must bring it to the attention of the Tour leader or other representative of Rainforest Cruises at the appropriate time so that they may use their best endeavors to rectify the situation. It is only if Rainforest Cruises is made aware of any problems that there will be the opportunity to put things right. Making your complaint known to Rainforest Cruises as a problem arises during your Trip will allow us the opportunity to remedy the situation or facilitate compensation. Should the problem remain unsolved, a complaint must be made in writing to Rainforest Cruises within 28 days of the completion of the Tour. b. If to Traveler, at the email or physical address provided by Traveler during the registration process. 25. Seller of Travel Registration Information. Rainforest Cruises is registered with the State of Florida as a Seller of Travel. Registration No. ST38603. 26. Limitation of Liability. IN NO EVENT SHALL RAINFOREST CRUISES BE LIABLE FOR ANY CONSEQUENTIAL, INDIRECT, EXEMPLARY, SPECIAL, INCIDENTAL OR PUNITIVE DAMAGES OF ANY KIND, INCLUDING WITHOUT LIMITATION, DAMAGES FOR ANY LOSS OF OPPORTUNITY OR OTHER PECUNIARY LOSS, EVEN IF RAINFOREST CRUISES HAS BEEN ADVISED OF THE POSSIBILITY OR PROBABILITY OF SUCH DAMAGES OR LOSSES, WHETHER SUCH LIABILITY IS BASED UPON CONTRACT, TORT, NEGLIGENCE OR OTHER LEGAL THEORY. IN NO EVENT SHALL RAINFOREST CRUISES’S TOTAL AGGREGATE LIABILITY TO THE TRAVELER FOR CLAIMS ARISING UNDER THIS AGREEMENT EXCEED THE TOTAL AMOUNTS PAID BY THE TRAVELER TO RAINFOREST CRUISES UNDER THIS AGREEMENT. RAINFOREST CRUISES IS ACTING AS A MERE AGENT FOR ALL SUPPLIERS OF ALL TRIPS, SERVICES, AND ACCOMMODATIONS ADVERTISED AND/OR SOLD BY US. ANY AND ALL SUPPLIERS OF TRIPS, SERVICES, AND ACCOMMODATIONS ADVERTISED AND/OR SOLD BY RAINFOREST CRUISES ARE THIRD PARTY VENDORS AND RAINFOREST CRUISES RETAINS NO OWNERSHIP INTEREST, MANAGEMENT, OR CONTROL OF THOSE THIRD PARTY VENDORS. TO THE FULLEST EXTENT PERMITTED BY LAW, RAINFOREST CRUISES DOES NOT ASSUME LIABILITY FOR ANY INJURY, DAMAGE, DEATH, LOSS, ACCIDENT OR DELAY DUE TO AN ACT OR OMISSION OF ANY THIRD PARTIES (INCLUDING THIRD PARTY VENDORS), GOVERNMENTAL AUTHORITY, OR ACTS ATTRIBUTABLE TO YOU YOURSELF, INCLUDING, WITHOUT LIMITATION, NEGLIGENT OR RECKLESS ACTS. 27. Disclaimer of Warranties. UNLESS OTHERWISE STATED, ALL GOODS AND SERVICES OFFERED BY RAINFOREST CRUISES ARE PROVIDED TO YOU ON AN "AS IS," "AS AVAILABLE" BASIS. TO THE FULLEST EXTENT PERMISSIBLE PURSUANT TO APPLICABLE LAW, RAINFOREST CRUISES DISCLAIMS ALL REPRESENTATIONS AND WARRANTIES OF ANY KIND, EITHER EXPRESS OR IMPLIED, INCLUDING, BUT NOT LIMITED TO, THE IMPLIED WARRANTIES OF MERCHANTABILITY, SUITABILITY FOR A PARTICULAR PURPOSE, TITLE, UNINTERRUPTED SERVICE, AND ANY WARRANTIES ARISING OUT OF A COURSE OF PERFORMANCE, DEALING OR TRADE USAGE FOR ALL GOODS AND SERVICES SOLD BY/THROUGH RAINFOREST CRUISES. Applicable law in your jurisdiction may not allow the exclusion of implied warranties, so the above exclusions may not apply to you. 28. Indemnification and Release. Except as otherwise set forth herein, Traveler hereby releases Rainforest Cruises from any and all liability, loss, expense, damages, or claims arising out of or resulting from Traveler’s participation in a Trip, whether caused by the negligent or reckless conduct of Traveler, a Service Provider, a provider of Accommodations, another third party, or otherwise. Traveler hereby also agrees to indemnify, defend and hold harmless Rainforest Cruises from and against any and all damages, losses, claims, liabilities, deficiencies, costs, fees (including reasonable attorneys' fees) and expenses, arising out of any claim brought against Rainforest Cruises regarding, resulting, or arising from Traveler’s participation in a Trip or Traveler’s performance of this Agreement. 29. Force Majeure. Rainforest Cruises shall not be responsible for failure to perform any of its obligations under this Agreement during any period in which such performance is prevented or delayed due to Force Majeure. “Force Majeure” refers to any event beyond Rainforest Cruises’ reasonable control, including but not limited to severe weather, fire, flood, mudslides, earthquakes, war, labor disputes, strikes, political unrest, natural or nuclear disaster, epidemics, World Health Organization’s advisories and/or alerts, Center for Disease Control’s advisories and/or alerts, U.S. State Department’s advisories and/or alerts, any order of any local, provincial or federal government authority, interruption of power Services, terrorism, technical or mechanical failure, or any other causes beyond the control of Rainforest Cruises or deemed by Rainforest Cruises to constitute a danger to the safety and well-being of Travelers. Rainforest Cruises reserves the right to cancel any Services described in a Trip Itinerary due to Force Majeure. 30. Disputes: Binding Arbitration, Governing Law, Jurisdiction, Venue, etc. These Terms and Conditions and the relationship between you and Rainforest Cruises will be governed by the laws of the State of Florida without regard to its conflict of law provisions. You and Rainforest Cruises shall attempt in good faith to resolve any dispute concerning, relating, or referring to a Trip, Services sold by us, Credit Card charges, Rainforest Cruises’ website, any literature or materials concerning Rainforest Cruises, and these Terms and Conditions or the breach, termination, enforcement, interpretation or validity thereof, (hereinafter a “Dispute”) through preliminary negotiations. If the Dispute is not resolved through good faith negotiation, all Disputes shall be resolved exclusively by binding arbitration held in Miami, Florida and presided over by one (1) arbiter. The arbitration shall be administered by JAMS pursuant to its Comprehensive Arbitration Rules and Procedures and in accordance with the Expedited Procedures in those Rules. The arbitrator’s decision shall be final and binding and judgment may be entered thereon. In the event a party fails to proceed with arbitration the other party is entitled of costs of suit including a reasonable attorney’s fee for having to compel arbitration. Nothing herein will be construed to prevent any party’s use of injunction, and/or any other prejudgment or provisional action or remedy. Any such action or remedy shall act as a waiver of the moving party’s right to compel arbitration of any dispute. You and Rainforest Cruises agree to submit to the personal jurisdiction of the federal and state courts located in Miami, Florida with respect to any legal proceedings that may arise in connection with, or relate to, our Binding Arbitration clause and/or a Dispute. The Client and Rainforest Cruises agree the exclusive venue for any and all legal proceedings that may arise in connection with, or relate to, our Binding Arbitration clause and/or a Dispute, shall be the federal and state courts located in Miami, Florida and to irrevocably submit to the jurisdiction of any such court in any such action, suit or proceeding and hereby agrees not to assert, by way of motion, as a defense or otherwise, in any such action, suit or proceeding, any claim that (i) he, she or it is not subject personally to the jurisdiction of such court, (ii) the venue is improper, or (iii) this agreement or the subject matter hereof may not be enforced in or by such court. YOU RECOGNIZE, BY AGREEING TO THESE TERMS AND CONDITIONS, YOU AND RAINFOREST CRUISES ARE EACH WAIVING THE RIGHT TO A TRIAL BY JURY OR TO PARTICIPATE IN A CLASS ACTION WITH RESPECT TO THE CLAIMS COVERED BY THIS MANDATORY BINDING ARBITRATION PROVISION. 31. Attorney’s Fees, Costs, and Expenses of Suit. If any act of law or equity, including an action for declaratory relief or any Arbitration Proceeding, is brought to enforce, interpret or construe the provisions of these Terms and Conditions, a Trip, Rainforest Cruises’ website or any literature or materials concerning Rainforest Cruises, the prevailing party shall be entitled to recover actual reasonable attorney’s fees, costs, and expenses. 32. Assignment. Traveler may not assign his rights or obligations hereunder without the prior written consent of Rainforest Cruises. 33. Severability and Survivability. If any provision, or portion of a provision, in these Terms and Conditions shall be unlawful, void, or for any reason unenforceable, then that provision shall be deemed severable and shall not affect the validity and enforceability of any remaining provisions. Traveler and Rainforest Cruises agree to substitute for such provision a valid provision which most closely approximates the intent and economic effect of such severed provision. 34. Waiver, Etc. No delay or failure by either party to exercise or enforce at any time any right or provision hereof will be considered a waiver thereof of such party's rights thereafter to exercise or enforce each and every right and provision hereof. No single waiver will constitute a continuing or subsequent waiver. Rainforest Cruises does not guarantee it will take action against all breaches of these Terms and Conditions. No waiver, modification or amendment of any provision hereof will be effective unless it is in a writing signed by both the parties.